Copier Roll”KWS” Regular Paper Rolls For plotter Machines, 24″x100 Mtrs, Hi-Bright, Hi-Bulk. Copier Roll”KWS” Regular Paper Rolls For plotter Machines, 24″x150 Mtrs, Hi-Bright, Hi-Bulk. Copier Roll”KWS” Regular Paper Rolls For plotter Machines, 24″x45 Mtrs, Hi-Bright, Hi-Bulk. Copier Roll”KWS” Regular Paper Rolls For plotter Machines, 24″x50 Mtrs, Hi-Bright, Hi-Bulk. Copier Roll”KWS” Regular Paper Rolls For plotter Machines, 36″x100 Mtrs, Hi-Bright, Hi-Bulk. Copier Roll”KWS” Regular Paper Rolls For plotter Machines, 36″x150 Mtrs, Hi-Bright, Hi-Bulk. 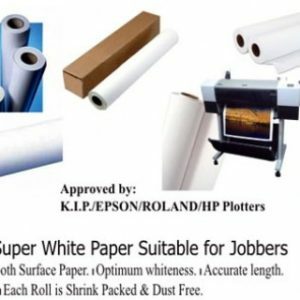 Copier Roll”KWS” Regular Paper Rolls For plotter Machines, 891mm x 150 Mtrs, Hi-Bright, Hi-Bulk.